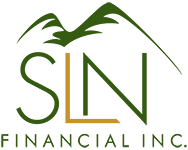 July 26, 2017 - Events That Can Prompt Changes in Life Insurance | SLN Financial, Inc.
Our lives inevitably change requiring us to evolve with the momentum. And for those holding life insurance policies, keeping your policy up-to-date and relevant to your life is essential. A variety of events can come our way at any moment, so remember to take steps and ensure your accounts reflect today’s needs. Here are some key events that can prompt changes in life insurance. For many, no longer having mortgage payments is a part of their financial strategy to help lower expenses in retirement. Mortgage debt among individuals who are 55 and older is increasing while the amounts they hold are nearly doubling. As such, paying off these mortgages is becoming a retirement priority. When you do finally settle your debt, your living costs will greatly lower — decreasing how much your life insurance policy must cover. As a result, homeowners will want to revisit their coverage to verify that it reflects their new financial profile and needs. Sometimes, life brings unforeseen circumstances and grandparents choose to become legal guardians of their grandchildren. In fact, in the U.S., at least 2.9 million children are being raised by their grandparents. If you have dependents that you care for, make sure that you have adequate life-insurance coverage. Revisiting your policy and adding your dependents is an essential priority during this life stage. As the baby-boomer generation ages, they’re divorcing in greater numbers. For people 50 and over, the divorce rate has nearly doubled within the past 30 years. If divorce happens, you’ll want to make sure you promptly address your life insurance. Your ex-spouse will no longer need protection through a joint policy, and you may not want to keep them as a beneficiary. Act promptly, and revisit your life insurance to have the right coverage protecting you. On the flip side of divorce is marriage. A new marriage is not just a time to celebrate; the event will also trigger the need to re-visit (or buy) a life insurance policy to ensure you cover your loved one. When you marry, you and your spouse share responsibility for each other’s financial wellbeing, including what happens to the other during widowhood. You’ll also want to update your beneficiary information to include your spouse. Overall, whenever changes emerge, it’s worth assessing if the development will affect your financial standing and life insurance policies. If would like to coordinate your financial details, we’re happy to help. Please contact us today. We’re ready to help you make the most of your opportunities.